Apiary Book is turning 3 this month. I started my beekeeping journey 4 years ago. I have to tell you, beekeeping offered me a lot of satisfaction. I love bees, I like honey (who doesn’t), I like to spend time in nature. But I have to tell you also about some pains. I lost a lot of beehives in the last years. 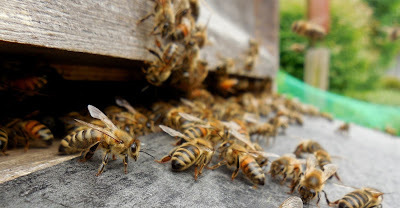 Bees, as you all know it, are in great danger, because of diseases, pests, invaders (like varroa mites), weather change, agriculture pesticides, falling bio-diversity, lack of information. So that’s why I am on a mission: to help all beekeepers from around the world to make better informed decisions based on historical data, current conditions and best practices, to minimize bee colonies loses, increase productivity. How? By providing a complete solution for management of apiaries, monitoring of beehives (using IoT), and a beekeeping decision system that will present useful reports, notifications to an apiary or to a group of apiaries in a region or even in a country. Apiary Book wants to give something back to the bees and to the world. If you want to be part of this journey, you are more than welcome. Join me!